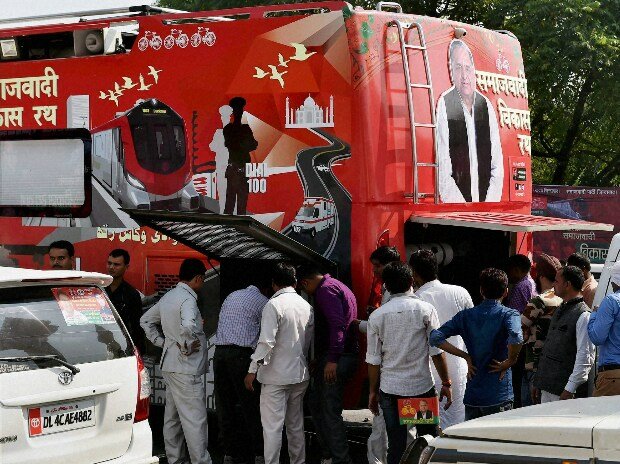 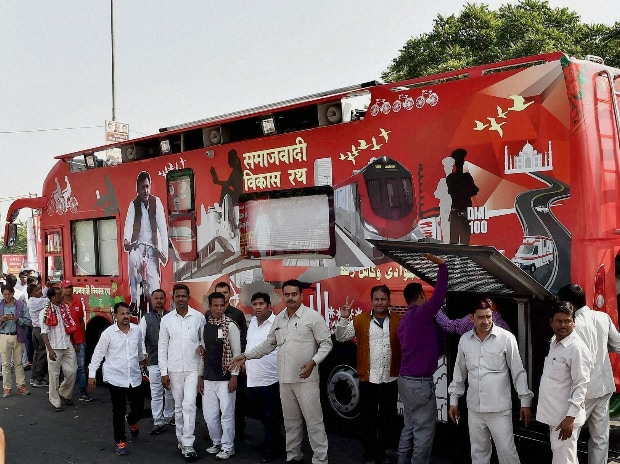 Akhilesh Yadav's high-tech Mercedes rath broke down on Thursday at the Lohia path in Lucknow after it barely covered 1km, forcing the 43-year-old chief minister to embark his one-day-long yatra in his official vehicle. 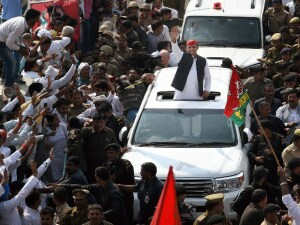 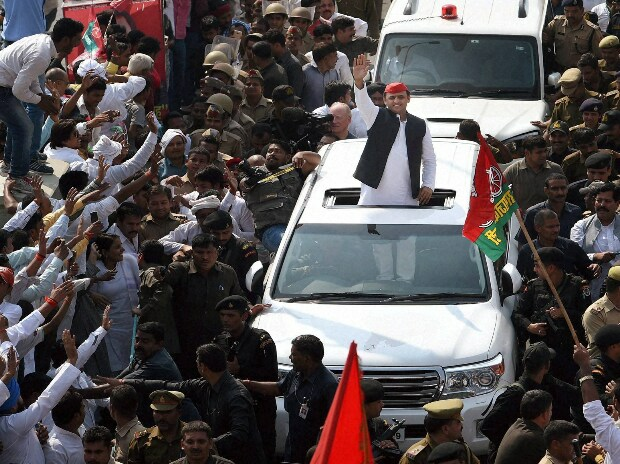 Akhilesh Yadav waving from his open SUV after his bright red Mercedes Benz 'rath', which was flagged off by the party's patriarch Mulayam Singh Yadav, developed a technical snag during the yatra that took off from Lucknow. 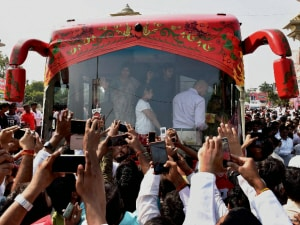 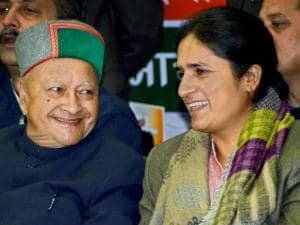 Chief Minister Akhilesh Yadav's wife Dimple Yadav and daughter in the high-tech Mercedes bus that included a hydraulic lift, a public address system and a collection of campaign songs, which were meant to be played, during the yatra. 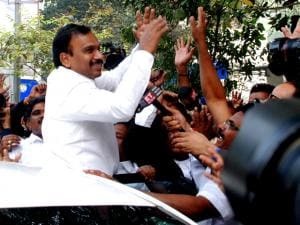 Party patriarch Mulayam Singh Yadav was flanked by Shivpal on one side and Akhilesh on the other as the Samajwadi Party presented a united front ahead of UP Assembly elections. 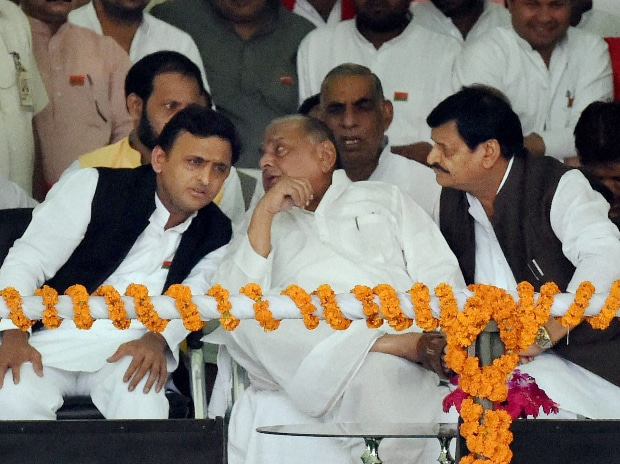 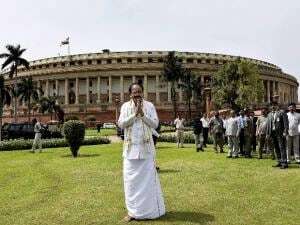 Wishing the young CM well, party President Shivpal Yadav said that will send a message of unity across the state and halt BJP in its tracks. The Mercedes bus being repaired after the technical snag in Lucknow. Akhilesh's grand rath was adorned with beautiful interiors and equipped with two large televisions, four cameras and digital eqipment to keep the Chief Minister updated about the rath yatra and other issues.